Spokesmen for Al-Shabab do not tend to mince their words, and Abu Abdalla was typically unequivocal in a radio broadcast aired on Monday. “If anyone says he belongs to another Islamic movement, kill him on the spot,” Abdalla said. The threat was unusual because of its target. Abdalla was speaking directly to his own colleagues, namely other members of the Somali-based militant group that has historically functioned as Al-Qaeda’s East African branch. But just recently, some members had been flirting with pledging their allegiance to the Islamic State militant group (ISIS). The seemingly irresistible rise of ISIS has led to various militant groups around the world, including Boko Haram in Nigeria, lining up to affiliate. In March, Boko Haram, which previously operated with no affiliation, rebranded itself as the Islamic State’s West Africa Province. Until now, Al-Shabab and its leader, Abu Ubaidah (also known as Direye), has held firm to its links with Al-Qaeda, to which the group pledged allegiance in 2012. But cracks appear to be beginning to show following the defection to ISIS of Abdiqadir Mumin, a senior Al-Shabab commander in the Puntland region of Somalia, along with some 20 of his followers in October. Al-Shabab has brutally clamped down on signs of ISIS sympathizing within its ranks. 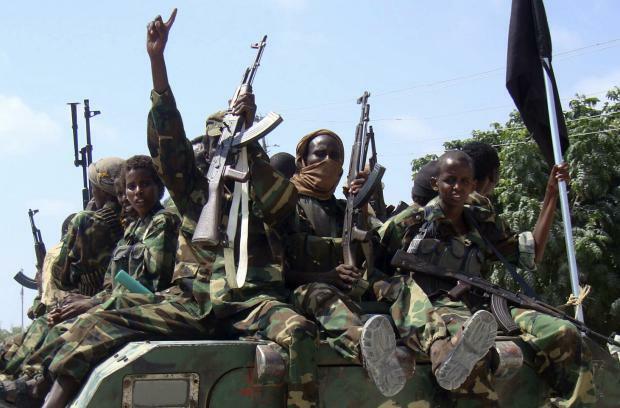 A leading Al-Shabab official in the Middle Juba region of southern Somalia was reportedly ambushed and shot dead by fellow members for expressing pro-ISIS tendencies. Social media has also lit up with reports of arrests of pro-ISIS members within the Somali group, and Al-Shabab’s feared secret police, known as the Amniyat, have reportedly been rooting out sympathizers. While numerically small, the defection gives ISIS its first point of contact in East Africa, and could herald further moves towards the group. According to Stig Jarle Hansen, author of a forthcoming book on African jihadism titled Horn, Sahel and Rift: Fault-lines of the African Jihad, it is not difficult to see the allure of ISIS for some factions within the Somali militant group, which was responsible for the murder of at least 147 people at Garissa University in Kenya in February. Despite the obvious allure of ISIS, Al-Shabab does have good reasons for remaining loyal to Al-Qaeda, including its notoriety in the region. Al-Shabab’s former leader, Ahmed Abdi aw-Mohamed (also known as Godane) fought against the Soviet occupation of Afghanistan and orchestrated the Somali militant group’s pledge to Al-Qaeda in 2012. Godane even received a personal letter from Al-Qaeda’s then-leader, Osama bin Laden, in 2010 instructing the Somali militant to hide the ties between Al-Shabab and Al-Qaeda for operational reasons. Al-Qaeda also has a long history of operations and networks in East Africa. Prior to the 9/11 attacks in New York in 2001, the group’s most significant attacks were the simultaneous bombings of the U.S. embassies in Kenya and Tanzania in August 1998, which killed 224 people and wounded more than 4,500. For Al-Shabab to turn its back on Al-Qaeda would mean giving up these resources and connections in return for little more than the prestige of belonging to ISIS, according to Alexander Meleagrou-Hitchens, Head of Research at the ICSR radicalization unit at King’s College London. Despite its obvious focus on Iraq and Syria, ISIS is making concerted efforts at convincing Al-Shabab to join its cause. In May, ISIS released a recruitment video featuring Somali fighters urging their countrymen to join them. ISIS has reportedly appealed to Abu Ubaidah and published propaganda leaflets urging Al-Shabab to switch allegiances and become the group’s Somali-based branch. A video released in October by Boko Haram— which joined ISIS’s ranks in March —also urged its East African counterparts to follow the example of the West African group and pledge allegiance to ISIS. One area in which ISIS has trounced Al-Shabab is the recruitment of foreign fighters, including ethnic Somalis. Hansen, who tracks the movement of ethnic Somalis out of his native Norway to join militant groups, says he has not recorded any Somalis leaving Norway to join Al-Shabab since 2012. By contrast, he says at least seven Somalis have left Norway to fight for ISIS. While the movement away from Al-Qaeda seems relatively small for now, the international weight carried by ISIS means that the threat of division is only likely to grow stronger. According to Hansen, the November 13 attacks on Paris that killed 130 people, for which ISIS claimed responsibility, serve as a reminder of the group’s international ambitions and stand in contrast to relatively little noise coming from Al-Qaeda.